style is style: Sweet and Simple. I went to a swap this weekend too, I posted about it today. This is such a sweet color combination! 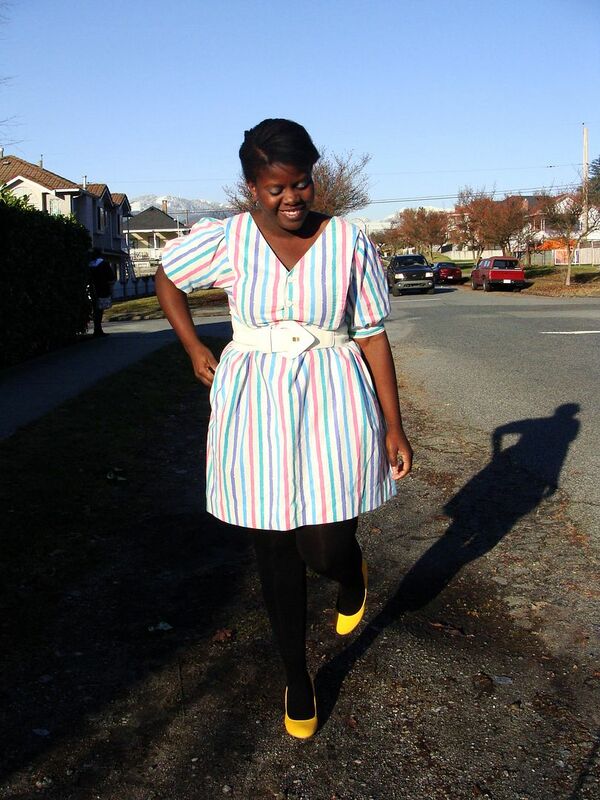 I love all the soft pastelly colors in the stripes of your dress. And the bright yellow shoes are the coolest- I would never have thought of using black tights- it looks great!! Love that dress! It's so sweet. 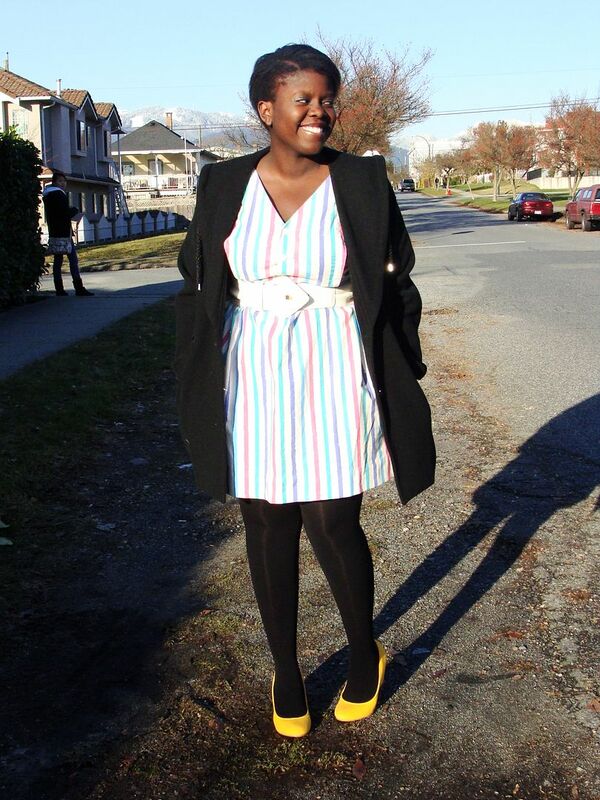 I love colourful stripes of the dress. Beautiful outfit! Definitely a sweet outfit. Love the dress and those amazingly bright yellow shoes. I have to say it again..not enough people wear yellow! So gorgeous and fun - love the yellow shoes! I love that dress. Totes have dress envy right now. I heart those sunshine yellow heels - so sweet!